Despite news of growing PlayStation 4 shipments, Steffen Sorrell, senior analyst, Juniper Research believes software distribution still requires significant change. 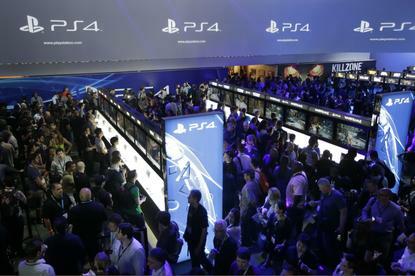 According to Sony, some 3.3 million consoles were shipped worldwide during the three months between July and September, bringing its total unit sales to 13.5 million. Nonetheless, Sorrel predicts that revenues will fall to $41 billion by 2019. “The landscape is quite clear that things are shifting mobile’s way, as powerful tablets and smartphones draw away more casual gamers,” he explains. Currently, Sorrell claims that a dedicated controller is superior to a touchscreen interface, while gaming online has had many years to mature over these platforms to offer a richer experience, although the streaming games cloud threatens to upset this paradigm. But with the relationship between PC and retail having “largely gone down the pan”, Sorrell says digital platforms such as Steam have stepped in, offering games without the overhead costs implemented by retail. “On the console side however, digital distribution is largely the same price as physical, so as not to price the retailer out of the market,” he adds. “Overall, high game prices are harming the market due to the low-cost mobile app market. Naturally PC/Console game development costs are much higher; but the indie development scene shows that they don’t always have to be.